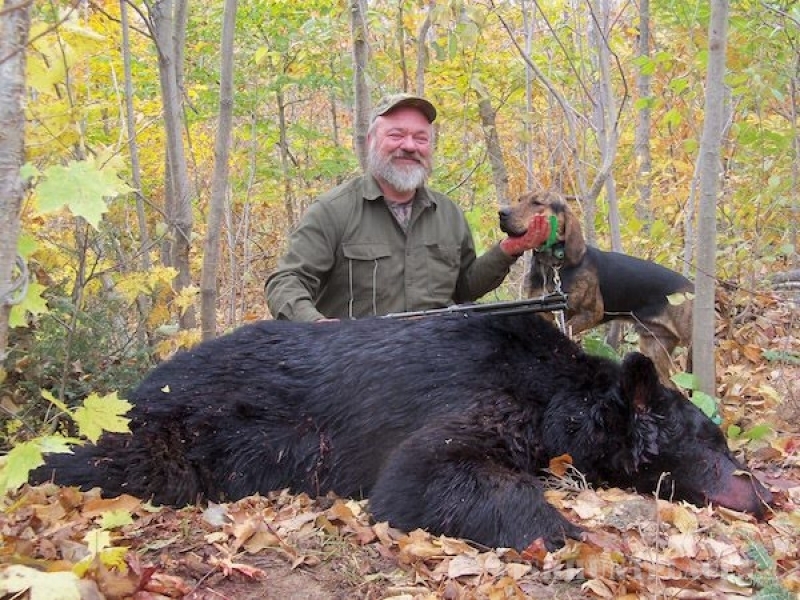 Maine Bear Hunts – For the Adventure of a Lifetime! 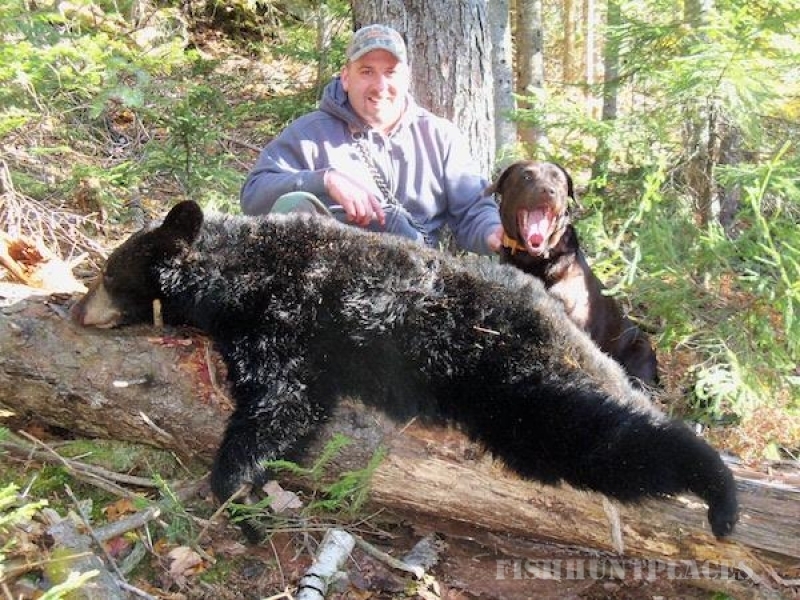 BEAR RIDGE OUTFITTERS GUIDE SERVICE specializes in Maine Trophy Black Bear Hunts with hounds and over bait. We accept a limited number of hunters to ensure each and every person has a hunt of a lifetime. BEAR HUNTS with HOUNDS is our specialty. 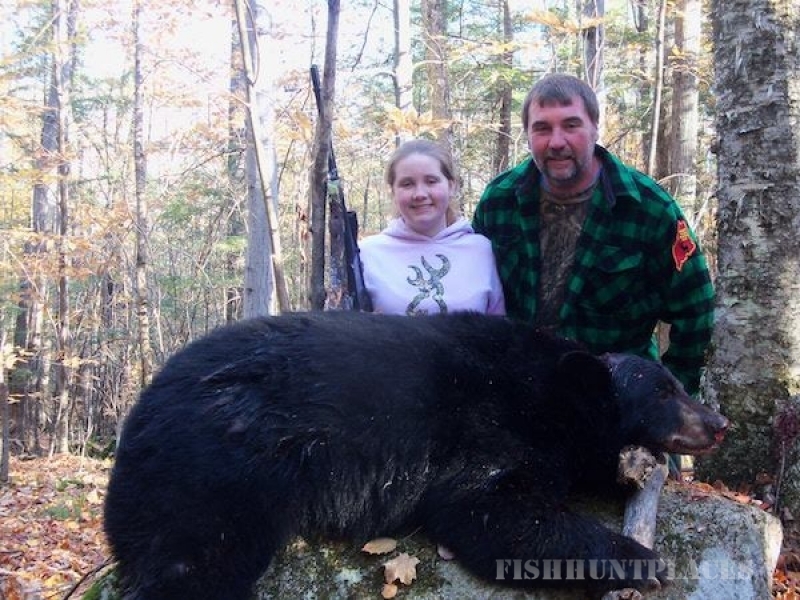 By accepting a limited number of hunters we can almost guarantee a Trophy Maine Black Bear. With the catch and release option it allows us to only harvest trophy bears and let the immature, smaller bears live to grow another year. Our hounds are trained year round to run and tree game and are some of the finest hounds in the country. 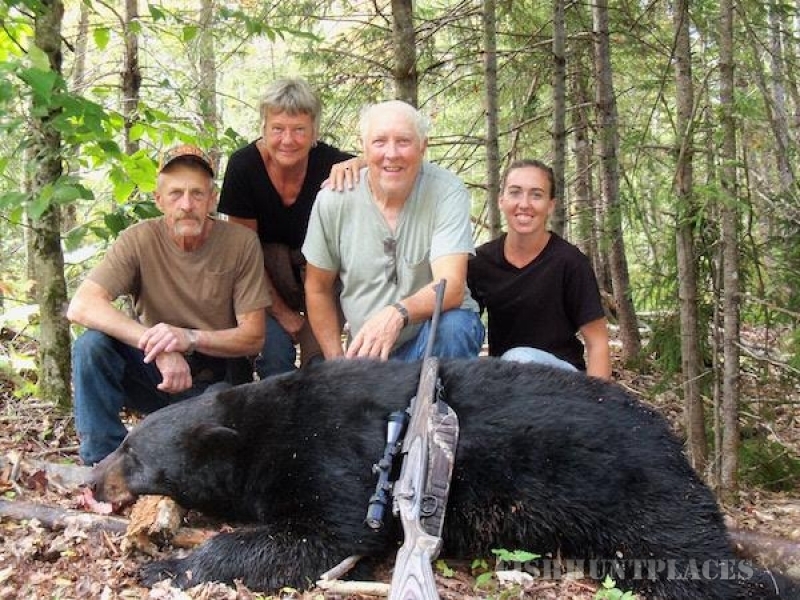 BEAR HUNTS over BAIT By also limiting the number of hunters, each hunter is placed on active bait sites with cameras so that each hunter has the opportunity to harvest a Trophy Maine Black Bear. 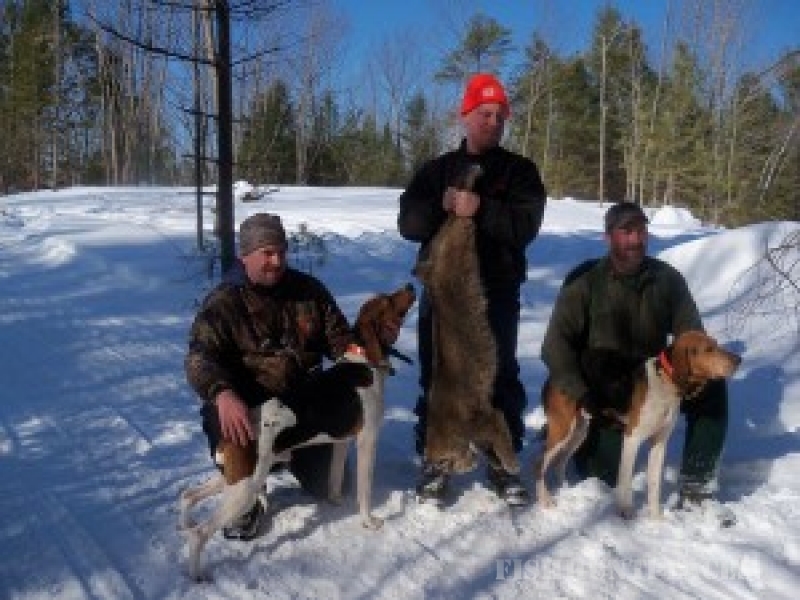 BOBCAT HUNTS with HOUNDS Due to the region’s dense forest and abundance of small game, bobcats thrive here in Maine. Also like our bear hunts, we accept a limited number of hunters to assure the hunt of a lifetime. A bobcat hunt is very challenging and sometimes requires us to move around the state to find the right snow conditions for the hounds. MOOSE HUNTS Moose hunting is only permitted by an annual lottery and we do offer Trophy Moose Hunts. Moose here in Maine are thriving in the habitat created by forestry practices and is a very challenging and rewarding hunt. Because we have such a high moose population it is not uncommon to harvest bulls in the 60 inch range. DEER HUNTS The deer population here in Maine has had a recent decline in numbers due to harsh winters and habitat loss. However, at Bear Ridge Outfitters we are located in the region with the highest number of deer. There is still a lot of Trophy Deer in the area and we offer both bow and rifle hunts. 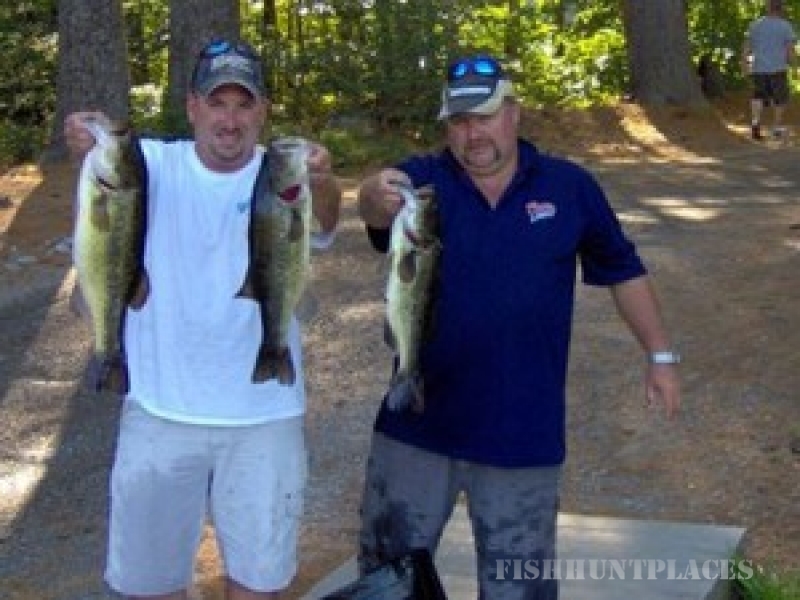 FISHING We offer some world class fishing for Largemouth Bass That’s Right! Largemouth Bass! The State of Maine has some of the best Largemouth and Smallmouth Bass fishing in the country and it is not uncommon to catch 100 fish a day. We also offer Trophy Northern Pike and Muskie fishing. Northern Pike and Muskie are thriving in Maine waters and it is a thrill seeking adventure. Northern Pike and Muskie in the 20 to 30 pound range are common. 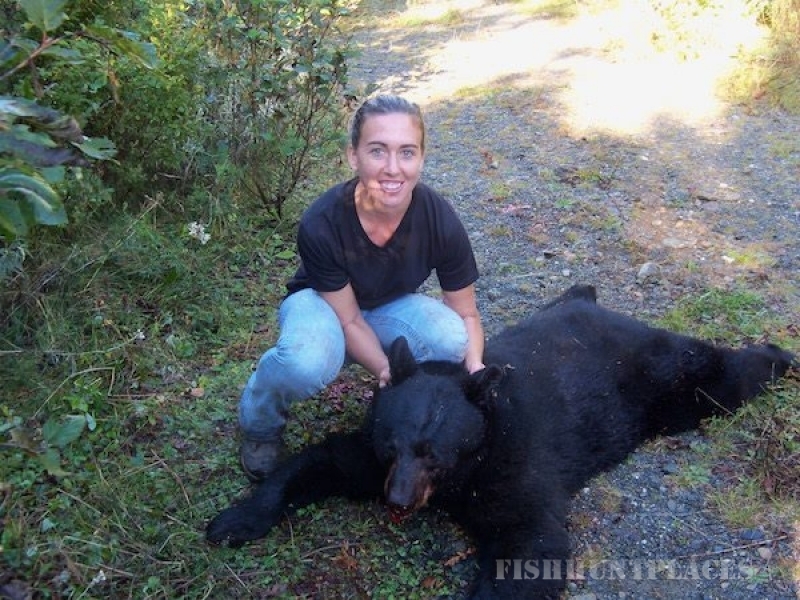 BEAR RIDGE OUTFITTERS will guarantee a hunting and fishing trip of a lifetime and with the Maine Black Bear population at its highest peak in years be sure to book your hunt as soon as possible! 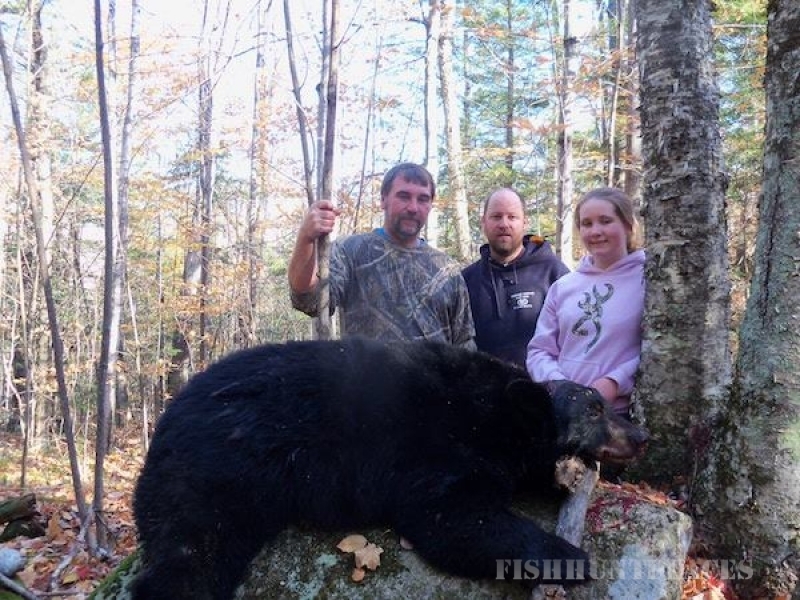 Don’t miss the opportunity to harvest a Trophy Maine Black Bear!